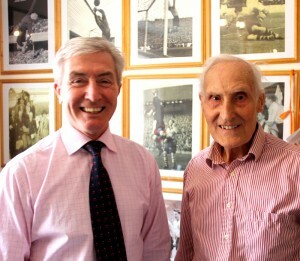 What better way to spend a few hours than chatting with one of Wolves’ all-time legends, Bert Williams? 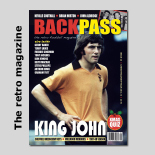 A few weeks after his 90th birthday celebrations at Molineux, I recently had the pleasure of visiting his Shifnal home to pose questions sent in by fans – plus one or two of my own. Many thanks again to our friends at Molineux Mix for supporting us in this venture. A: There were 20 or so people here the one day, from the agency that was putting the advert together for Mars. They were first-class, so well organised. Two of them were here at 8.30 in the morning to coordinate things. A photographer turned up and he took lots of pictures of my lounge, then they removed everything from the room and set it up for the filming. The pictures were to make sure they knew where to put things back after the filming. One of the young ladies even invited me into the bedroom, but just to put my make-up on! They were here all day. I forgot to mention that they had also notified my neighbours in advance because of the number of cars and vans that were going to be in the road. They also took a bouquet of flowers round to them at the end of the day to apologise for the inconvenience. They really were very professional. Mars also sent me a couple of boxes of chocolates, which I’m still working through! A: There was some indication of a trip to America and, apparently, it was going to be well-run, well-organised and well-thought-out. But I wasn’t interested. In your life, you have highs and lows, and there’s no reason why, at my age, I should concentrate on the lows. I’m still trying to forget that match, after 60 years! I don’t think we will have any difficulty beating the USA in this year’s World Cup. In 1950, we weren’t beaten by a better side, we were beaten by a team who went out with a set idea. They realised there wasn’t any chance of winning but they also realised they weren’t going to lose by a large number of goals. And, as a result, they played to a certain style. 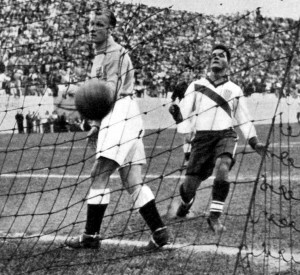 As soon as an England player got the ball, every player in the American side retreated to the goal-line. You couldn’t see the goal. It was unbelievable how many times we hit the crossbar and upright, and legs, when we should have had goals. Then, as happens in many games, we got caught on the break. There’s also a story attached to the fellow who scored the goal, someone called Cajuns I think. He lived in Haiti. Mind you, there were all sorts of nationalities in their team, even Scotsmen. He scored the goal and when he went back to America, he decided to go to Haiti to open a little shop. This was in the days when the island was ruled by a dictator and, apparently, one day a couple of guards fetched him out of the shop and shot him. Nobody ever discovered his body. A: I think the idea of the game is to get the ball into the opponents’ net more times than they get it into yours. They don’t play like that nowadays. You get bored after 20 minutes with the passing, there’s no excitement. It used to be end-to-end excitement for the whole of the 90 minutes. Today, it is very stereotyped. And the goalkeeper’s job is much easier. Years ago, you had centre-forwards who were allowed to physically charge you into the back of the net. It was part of the game. Now, they’ve got all the time in the world. One thing I would say is that it must be very difficult to play with the ball of today because it moves in the air so much. You’ve got to allow for this. The game isn’t as exciting as you and I used to know it. You could be shopping in Wolverhampton and hear the cheers from the stadium. You could follow the game. They used to shout ‘offside’ or ‘corner’. Everybody was involved in the game. Now you get too many phases when you could drop off to sleep. It’s possession football. Stan Cullis would not allow me to throw a ball to a full-back. He had a Group Captain in the Air Force come in to log a match, against Tottenham. They played goalkeeper to full-back, full-back to centre-half, centre-half to right-half, right-half to right-wing, right-wing to centre-forward and so on. They had 16 passes of the ball to get one shot at goal. Wolves had one long ball from the goalkeeper and four shots at goals in the same time. Stan told me if I started playing any of this academic stuff, he’d drop me. One day, however, Eddie Stuart and I went to see him to suggest it might work if I did throw it out to the full-back occasionally. He said: “All right, try it.” So we did it. I caught a cross and threw it out to Eddie but it didn’t quite reach him and somebody nipped in and put it in the net! I was afraid to go in the dressing room. Stan had a built-in warning system when he was angry, he made this ‘wheeeing’ sound for about three seconds as he was breathing in, before he let rip at you. You had to get away very quickly! A: That was one of them, of course, but also the games against Manchester United in the semi-finals. We had both our full-backs injured in the first one. There were no substitutes in those days, so they ended up playing on the wings. We basically played against Manchester United with nine men and we managed to get a draw. That was a fantastic achievement as we then went on to win the replay. A: The biggest influence on my life in that respect was my father. He was an exceedingly good goalkeeper with a good local reputation. He probably could have gone on to play professional football but he wore glasses, which was a disadvantage because of the physical contact. He encouraged and taught me, so I owe everything to him. A: No, I couldn’t head a ball to save my life and couldn’t kick with my left foot either! So, I was always in goal and started at school when I was 12 or 13. In those days, you left school at 14 and I progressed to the local team in Bilston. It was a step-up but Walsall must have got to hear about me. I think they were desperate for a goalkeeper and they came over to see me. They asked if I wanted to sign for them and, of course, it was a dream come true. It was what I’d always wanted. My first game was the following Monday against an Albion A team at The Hawthorns. Another dream come true because I was a West Bromwich supporter. Life after football - a time for new challenges. A: Not really because, in those days, you had no trade. When you left football, you were dependent on somebody finding you a job. I know players who were in the same team as me who finished up sweeping the floor in a factory. But I didn’t want to do that, so I started a sports shop. I was a PTI in the Air Force in the war, so I wanted to do something related to sport. I couldn’t find a shop but a friend of mine, who was a tailor in Bilston, said I could use his window and keep a bit of stock in the back. I did that and it started doing quite well. A lot of the factories had teams, so I went round to them and the clubs and schools in the area and the business grew and grew. 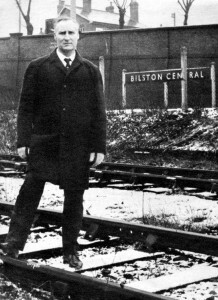 The next thing I wanted to do was build a sports centre, so I purchased a piece of land at Bilston. I had the shop and storeroom. I then went over to Warwickshire to find out what you needed for an indoor cricket centre. They gave me some advice and I had three cricket practice areas in the centre, with nets and a run-up and special flooring, so it played exactly as it would on a proper cricket pitch. I was still playing part-time but decided to retire to concentrate on the business. I didn’t want to end up sweeping floors somewhere! I approached Wolverhampton Council to try to set up a similar centre in the town but didn’t get any luck. The centre was doing well with the cricket and then I started a goalkeeping school. I even had people coming from as far as Bolton. I had hurdles, we did all of the exercises, and I had special rubber mats so they could dive without hurting themselves. I made sure everyone had some time on the mat before they went home. I used to drive the ball at the keepers until one night I must have torn the inside of my stomach, and it was bleeding inside. The doctor told me to stop kicking, which prompted me to sell the school. 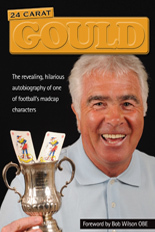 I sold it to two goalkeepers, both well known in the Midlands – John Osborne and Jim Cumbes. I was living in Shifnal at the time and a plot of land was up for sale, so I bought it and built three factory units on it. That has been the family business ever since. A: Most of the journeys were by Don Everall coaches. If the away game was at Sunderland, we’d travel up the night before, then come straight back after the game ready for the home match the following day. Sometimes we played Christmas Day and Boxing Day but didn’t get two wages for that! Q: I’ve decided to add a few different questions to the mix, so, first of all, what was you first car? A: It was a Ford Anglia, I bought it from a company called Billinghams on the Birmingham New Road. I’d never had a car before. I was about 25 and it was my pride and joy. I’ve still got a photograph somewhere of me receiving it from Billinghams, from Tony Guy. Q: The Lafayette was the centre of our social world. Where did you go, Bert? Was there a main dance hall or something like that? A: I’ve never been to a dance in my life, John. I’ve never been on a dance floor to dance. My wife was very much the same. We met through local people, local connections. We’re Black Country people through and through. Q: How did you meet then? A: In those days, you used to wander up and down the town and walk round. One day, these two girls were walking towards me and one of them was a girl I went to school with. We stopped to talk and my wife (to be) was a friend of hers. One thing eventually led to another and we got together. She’s the only girlfriend I’ve ever had in my life. Do you think I should be living in a monastery? Q: Didn’t they have dances at the Civic Hall? A: There were dances but, as I say, I can’t dance, John. The two of us met when I was living in Bilston. I was playing for Walsall then. We used to talk and do a bit of romancing, as you do. It wasn’t bragging but, one day, I told her I was going to play for England. It was something as a kid you dreamed of and that was always my dream. Very, very rarely do dreams come true but mine did. Everything I’ve got, I dreamed of. To be able to say that everything I dreamed of has come true makes me very, very fortunate. 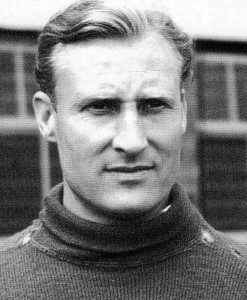 The handsome face the football world remembers....Bert in his Molineux hey-day. We won the cup, we won the league, I played for England……..but, you know, the most precious thing to me is the number of friends I’ve made. They are there for good. To go out and be recognised and talked to is a privilege. Posted on: Thursday, April 8th, 2010.